Many Japanese plums will fruit on 1 year wood as well as on fruiting spurs. Upward growing newer branches can be used for renewal wood every few years as they will bend down with the weight of the fruit and the drooping older wood can be cut out. Proven Japanese varieties and crosses include Methley, Early Golden, Beauty, Shiro, Obilnaja and the red leafed Hollywood. 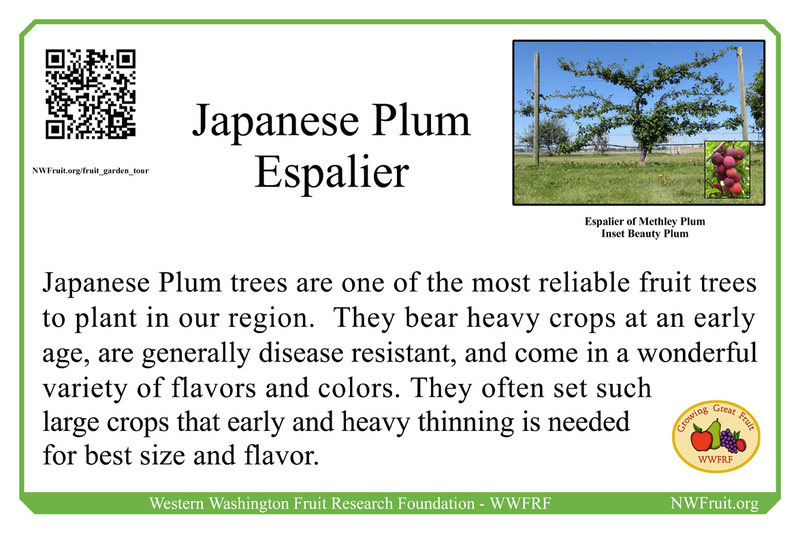 The Japanese plum varieties in the Fruit Garden are Shiro, Beauty, Early Golden, and Methley.